I am so glad it's Friday! I have big plans for today that include laundry, cleaning, and preparing for a little after-school soiree for some cute fourth grade girls. Yesterday I bought the stuff for them to make these cute cupcakes and we have some fun crafts planned as well. I'm looking forward to a fun afternoon with giggly girls. It's also been full of necessary things. I've had some appointments and some meetings and some work stuff and some volunteer obligations. And of course there's always carpool and laundry and dinner and those kinds of "daily" things. I would LOVE a slow weekend. But I'm not too hopeful about that at this point. Sigh. Here's a few random phone pics from the week that I took for one reason or another, along with my rambling commentary. Random and rambling. That's how I roll. Abbey is almost finished with Phase I of her orthodontic treatment. She gets her expander taken out next month and her brackets taken off as well. Not sure how long before Phase II begins. 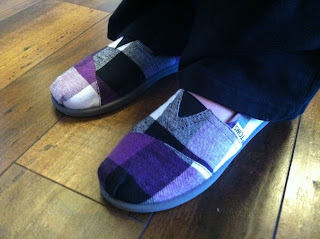 She chose purple and black bands this time and you'll learn why a few pics down. SCORE! 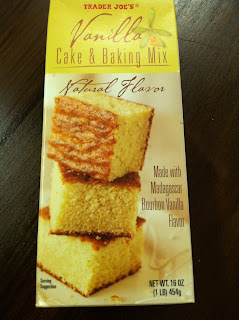 I found this cake mix in the deep recesses of my pantry a couple of weeks ago and finally made it last night. 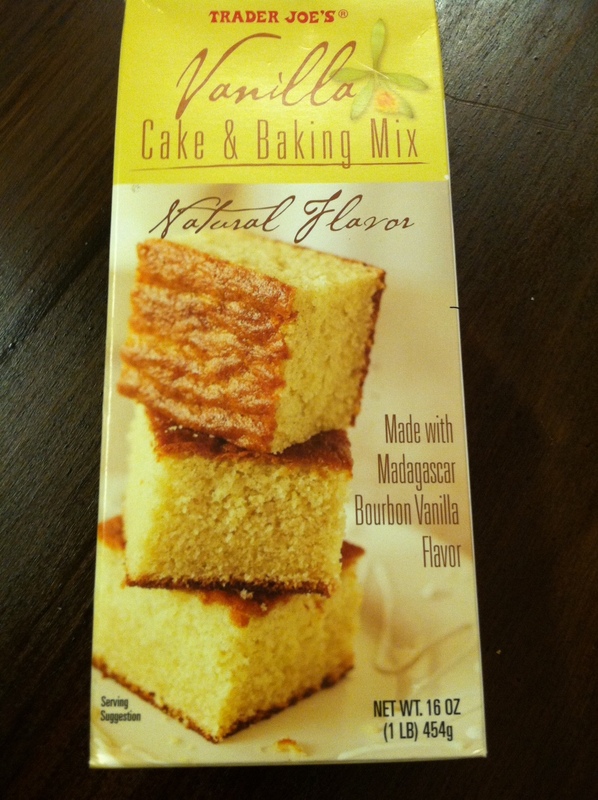 Trader Joe's vanilla cake is something I stock up on whenever I'm in St Louis or Santa Fe (or anywhere else we travel that has TJs!) Can't remember where this one came from but who cares? Because rumor has it that Trader Joe's is FINALLY coming to Colorado. Yay. No more mailing my loot home because there's no room in my carry-on luggage! I think these TOMS are so cute. Abbey got them for Christmas but the size/style was goofed up, so one month and two trips to Denver later we finally ended up with the right pair. She loves them. I bought a pair for myself in October but didn't love them and ended up returning them (for boots) because I was afraid my feet would freeze all winter long (and they would have). Abbey's are wool so I think she's okay. 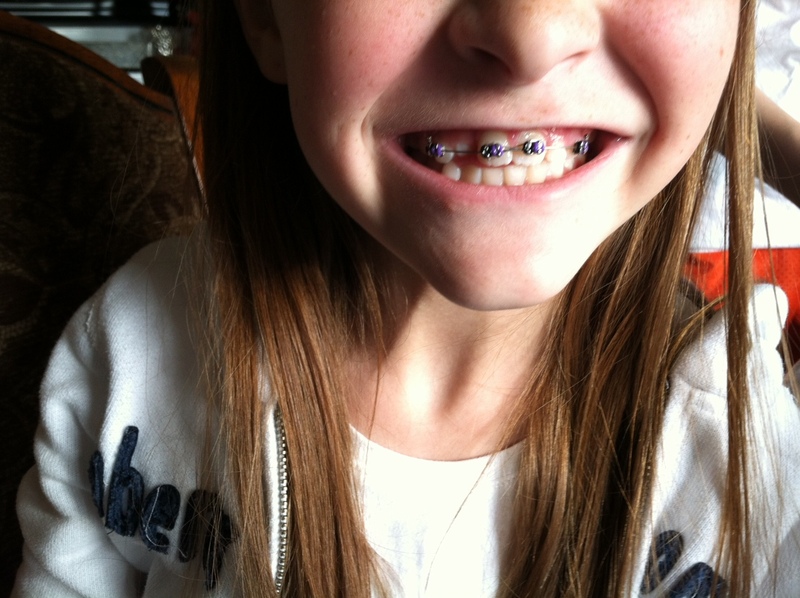 And NOW do you see why she chose black/purple bands for her braces? Evidently she wanted her teeth to match her toes. That girl. This was my dinner plate one night this week. 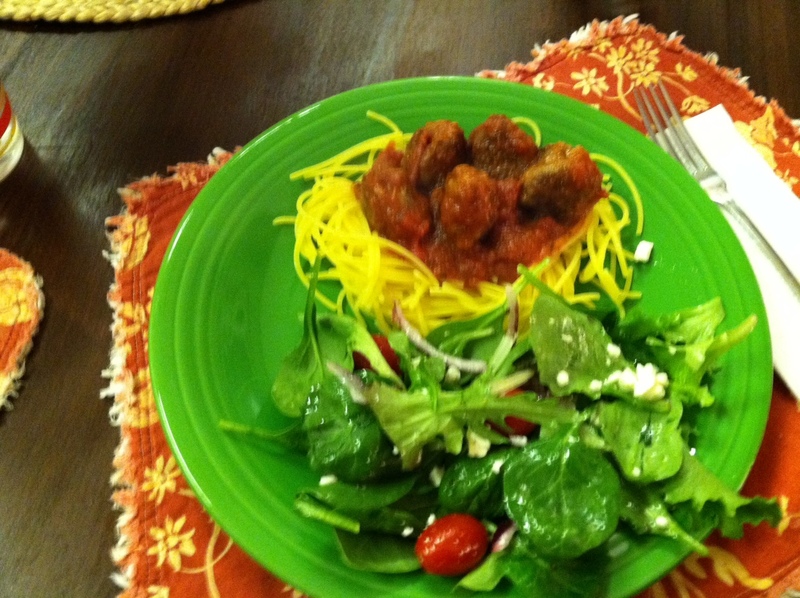 Spaghetti and meatballs is a go-to dinner around here. It's quick, easy, and delicious especially when paired with greek salad. I found this gluten-free pasta that I really like so now I'm able to enjoy pasta dishes again. Oh, and my best tip for making meatballs is to wear gloves! 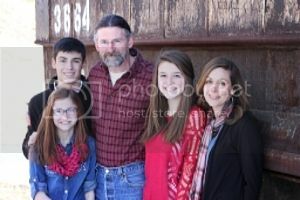 I just thought this picture was funny. Jack-the-Beagle sleeping on the floor BESIDE his bed. Why? Why? Why? I will never understand that dog. That's all, folks. Happy Weekend everyone! I am yet to try the Incline, but would love to someday! Those TOMS are super cute :) I bought a pair this fall and while I love how they look, I'm not convinced I bought the right size and love how the feel?.?.? We have spaghetti here once a week it seems. So easy and good. Plus, it's one of a few dishes my kids don't turn their nose up to. That cake is the BOMB!! We love the quinoa pasta. I get it online from Vitacost, where I get my vitamins and other food items. Free shipping after $50.00 I believe. They are reasonably priced as well. Ok, we LOVE the Incline. Glad to hear the ice is gone - did you come down Barr Trail??? How was the ice there? Love the pretty slippers, too! LOVE, love, love that quinoa pasta, too. We are gluten free (I am gluten sensitive if not intolerant) so we have sampled LOTS of gluten free products. Against the Grain makes a good GF pizza, too (we get from Vitamin Cottage). Yay for Trader Joes coming to CO. We heard that CS will eventually get 2 locations. 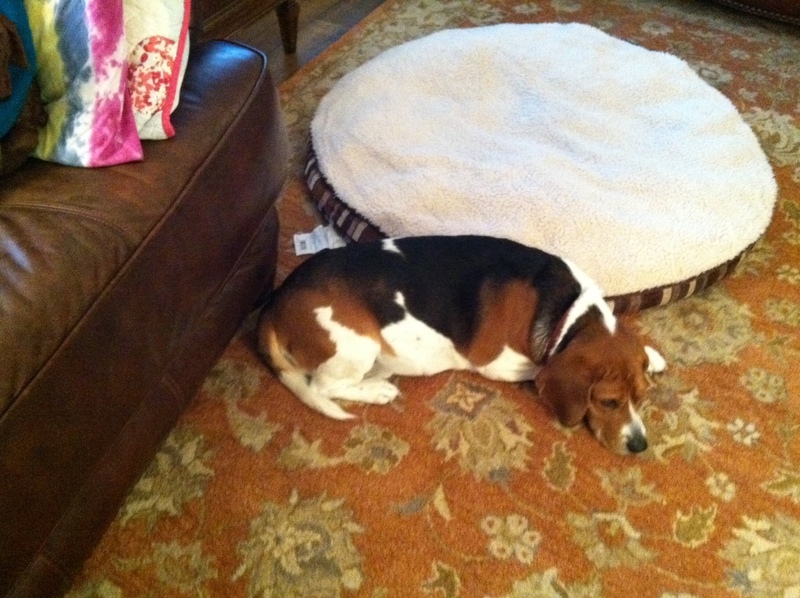 And finally, love that Jack is sleeping next to his bed. They are SO funny! Just another reason to head to the big city and more things to spend our $$$ on! hah! Well, OF COURSE your teeth should match your shoes. That goes without saying. :D I'll trade you my Trader Joe's for your Sonic!